Miguel will headline Dillo Day this year, Mayfest confirmed Tuesday night. Mayfest teased the opening frame of the video for the artist’s Grammy Award-winning song “Adorn” and lyrics to his 2012 song “Do You…” on its website Monday night. Mayfest co-chair Ian Robinson, a Medill senior, said he doesn’t think students were expecting Miguel, but the group has received positive feedback since the tease. Miguel, who debuted in 2010 with his album “All I Want Is You,” is the third artist Mayfest has announced for Dillo Day 2015. The other artists are electronic duo Odesza and pop singer Charli XCX. 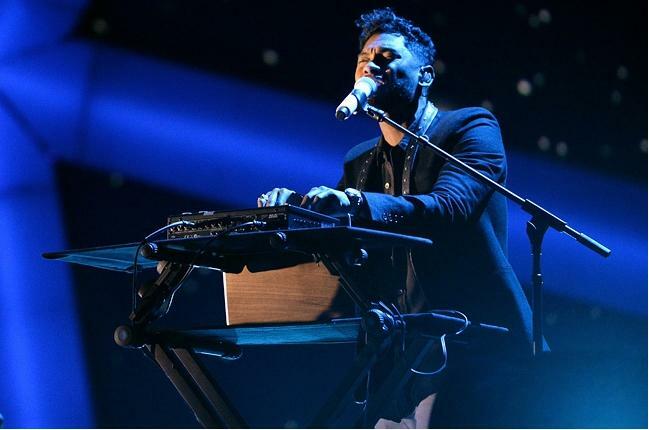 Miguel, a Grammy-winning R&B artist from Los Angeles, rose to fame after releasing his second album, “Kaleidoscope Dream.” He is also known for the singles “Adorn” and “#Beautiful.” Mayfest’s concerts chair Michael Bass said the survey the group sent out early in Winter Quarter showed students did not want an EDM or hip-hop headliner. Another response from the survey was 2 Chainz’s poor live performance skills. Miguel has a live performance that is more suited for Dillo Day, Bass said. He added the timing of Dillo Day was a big incentive to secure Miguel as the festival’s headliner. Miguel will be releasing a third album, “Wildheart,” on June 30, and Dillo Day will be one of his first shows in preparation for the album, said Mayfest’s co-chair of promotions Steven Goldstein, a Medill senior. “For us timing is everything, and we could not have been more excited about this opportunity and really jumped on it the second we found out he was available,” Bass said. Dillo Day will take place on May 30.